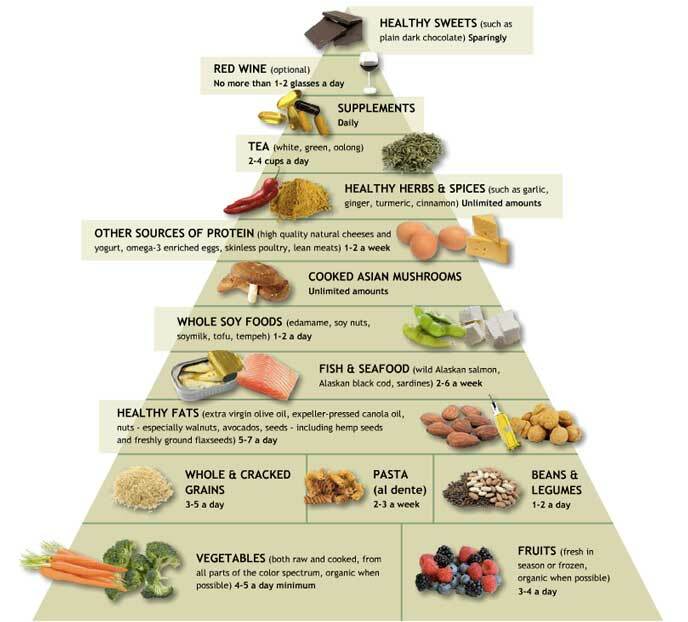 Imagine this for a food pyramid – topped off by dark chocolate and red wine, dairy nowhere to be seen, and fruits/vegetables as the foundation. People sometimes say that the United Nations doesn’t do enough to solve the big problems of the world. I’ve never really agreed with that point of view, but if anyone is looking for evidence of the UN’s impact, a good place to start is the Millennium Development Goals (MDGs). They were agreed to in 2000 by all 193 UN member countries and 23 international organizations. Creating that kind of consensus is—by itself—a significant achievement. Although a number of countries won’t be able to achieve all of the goals by the target date of 2015, the MDGs have been helpful in getting everyone to really think about their part, the progress they’re making, and what they can learn from others. The goals have focused political attention in developing countries, encouraged UN groups to work together, and inspired wealthy and fast-growing donor countries to coordinate their efforts. In February, the World Bank announced that the MDG goal of cutting extreme poverty by half had been achieved five years early. A week later, UNICEF and the World Health Organization announced that the goal of halving the number of people without access to safer drinking water was also reached five years early. They performed a unique, high-risk hybrid procedure that combined minimally-invasive method with traditional surgical techniques. They stopped the massive balloon-like aneurysm, replaced a failed heart valve, repaired another valve and also closed a hole in Patricia Crawford’s heart. Now, just a few weeks since the successful Feb. 7 procedure, Crawford is much more active and energetic, and only taking medications for her heart. Most importantly, she no longer needs a heart-lung transplant. Such hybrid surgeries are the start of a major medical trend, said Dr. Jamil Aboulhosn, director of the Ahmanson-UCLA Adult Congenital Heart Disease Center. Dr. Hillel Laks and the operating room team started with traditional surgical methods, placing her on the heart-lung machine and opening the aneurysm by her heart. Aboulhosn then employed the hybrid intervention by using a new balloon-mounted “melody valve” to replace her failing pulmonary valve and to close the hole in her heart. These two procedures, which normally would take more than an hour to complete surgically, only took 10 minutes thanks to the less-invasive valve-replacement technique. Amy and I had a strong debate today about the difference between addiction and dependence. Both of us were using different explanations, so we resorted to the official definitions in the DSM-IV, the American Psychiatric Associations big book of disorders and definitions. As you will read below their is no mention of addiction in the manual. They purposely excluded that term in favor of more descriptive ones. Which means that addiction is now classified as dependence or abuse. The essential feature of Substance Dependence is a cluster of cognitive, behavioral, and physiological, symptoms indicating that the individual continues use of the substance despite significant substance-related problems. There is a pattern of self-administration that can result in tolerance, withdrawal, and compulsive drug-taking behavior. A diagnosis of Substance Dependence can be applied to every class of substances except caffeine. The essential feature of Substance Abuse is a maladaptive pattern of substance use manifested by recurrent and significant adverse consequences related to the repeated use of substances. Unlike the criteria for Substance Dependence, the criteria for Substance Abuse do not include tolerance, withdrawal, or a pattern of compulsive use and instead include only the harmful consequences of repeated use. The DSM views abuse and dependency as a continuum, meaning addiction is not, in their eyes, an on-or-off proposition, but a disorder with degrees of affliction. The distinction is important when compared to 12-step programs, which preach that one is either addicted or not, and if you are, you are powerless over such addiction.